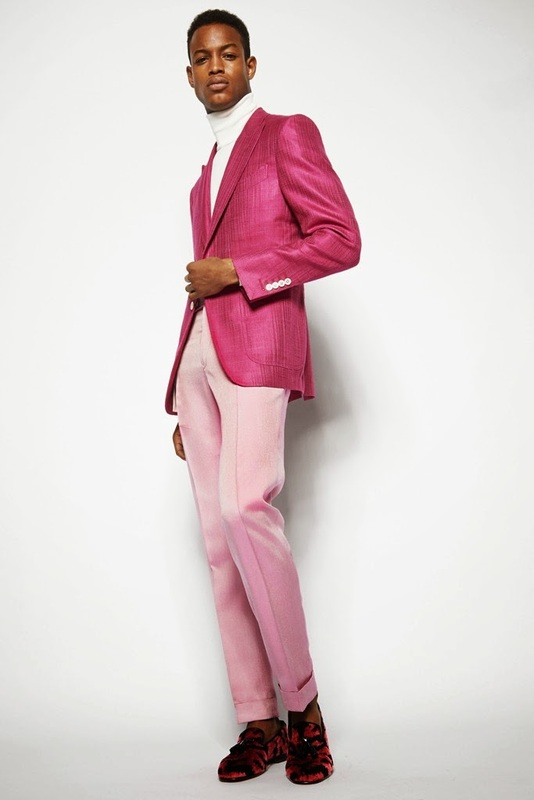 Tom Ford legit said “F what you thought you knew about mens fashion” and gave us FULL ON pink love for his Resort 2014 Collection. Can’t say I’m mad at it either! He’ll look at it, tell you he loves it but chances are, he’s not going to wear it. There is an exception to this whole “tie thing”, it involves a bigger wallet and a man who has a penchant for the finer things in life. We’ll get to that a little later, be sure to stick around. For those of you who don’t have the slightest idea of what to get the dad in your life…here we go! Oh and by dad of course I mean: Dad, Hubster, Dad to be, and/or any man who holds the title. Think of the things he likes which includes sports, television, movies, activities, cars, and things of the sort. Below you’ll find tons of gift ideas for every type of guy imaginable! Check out the slide show with “Sports Dad, Business Dad. Tech Dad, and the Fashion Dad.” Several..well there’s quite A LOT of cool things. Seriously, even if the guy doesn’t fit into one of these categories, there’s still something there that he’ll love. Now, for the “tie thing”: if you’re going to get a man a tie, the first thing you want to do is, make sure he actually wears ties. Second, double check his closet to see if he doesn’t already have one similar to the one you’re purchasing. Third, don’t get a crazy tie…you know, one of those ties with beach balls and sandcastles on it. Yea, don’t go that route. …then of course buy the beach ball tie! Ok, lastly, in this whole “tie thing” spend some money on it! I know this sounds a little materialistic but trust me, if you want the man to wear the tie you bought, it’s gotta be bad! Bad meaning extremely dope and good of course. Plus, he’ll wear the tie into the office and brag about getting it. Men love office water cooler talk just like us. If all else fails, simply ask the stubborn man what he’d like and voila, you’ll have the perfect gift in no time! There’s about four days to pick up any of these items but don’t worry, everything I picked is available at a store near you.